It was all happening at Campbell’s Platform this afternoon. 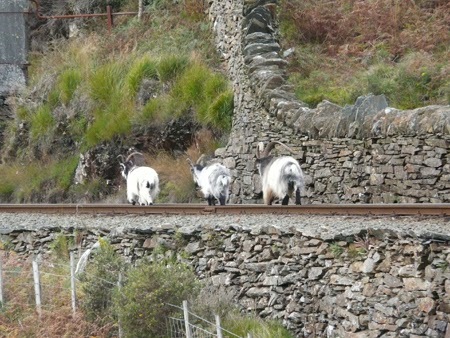 First we had a goat train and then we had a gravity train, a particularly long and impressive one - apart from the head brakesman who showed a distinct lack of puff with his bugle. For a while I thought he was going to forget his duty. The train marked the start of a weekend of celebrations to celebrate the life of Alan Pegler OBE, the late president of the Ffestiniog Railway.